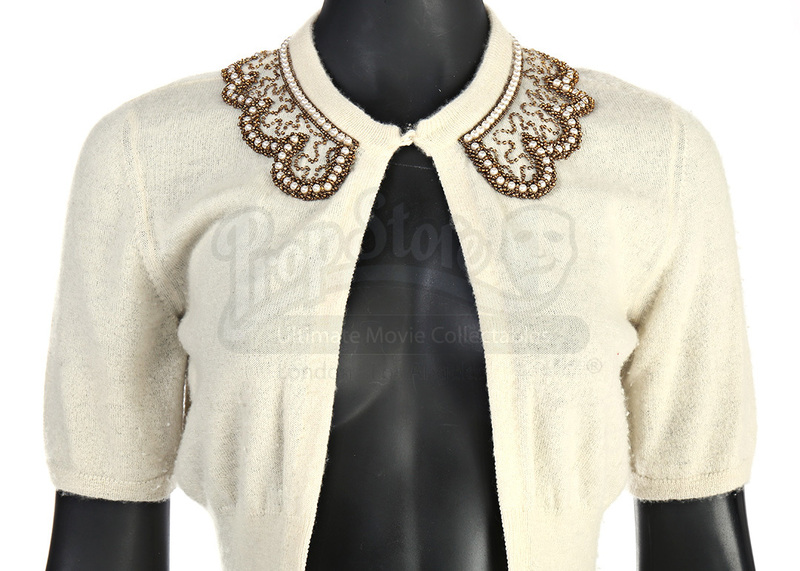 Abigail Chase's (Diane Kruger) white cardigan from Jon Turteltaub's 2007 treasure hunting sequel, National Treasure: Book of Secrets. 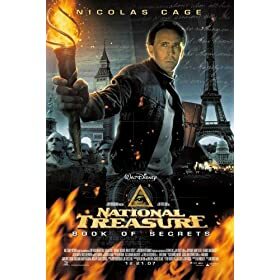 In the film, Benjamin Gates (Nicholas Cage) hunts for the truth behind the assassination of Abraham Lincoln by seeking missing pages from the diary of John Wilkes Booth. Abigail wears her cardigan during her encounter with Benjamin at Buckingham Palace. Made by Adam Jones - Paris, this cardigan is made from 100% cashmere, and features a delicate pearl decoration placed around the neckline of the costume. The tag also features "Abigail #3" written in black ink. The piece is a size medium (M) and shows minimal wear from storage and age, but remains in very good overall condition.